When I first ventured into the world of creative writing, one of my “mortal sins” involved an abundant use of passive voice and boring verbs, hyperbolic adjectives and taxing adverbs. 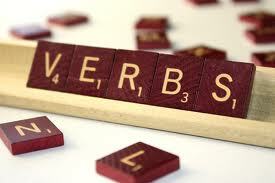 Although I haven’t yet “arrived,” through participation in critique groups and reading about the art of writing, an important insight occurred to me: active verbs give life to prose and poetry. My earlier attempts to create character and description often fell flat. Adverbs and adjectives are part of our language for a reason—to add color, texture and other artistic elements to our verbal armory, but discriminating use of these words peppered with verbs that rock do make a difference. While there is a role for telling and judicious use of passive voice, success lies in knowing how to balance our use of writing weapons. The child was bitten by a bee. The bee bit the child. The hefty pass-kicker adroitly kicked the ball between the goal post in spite of the blustery wind. from an eight inch ice hole. Give some attention to the singular verbs and verb derivatives (such as gerunds) that Jane chose. She does use descriptors, but verbs add so much to the flow and strength of this poem. For this week’s MTB prompt, please join us and write a poem incorporating a rich use of verbs. You may want to select one of your older poems that has never satisfied you and try to spice it us a bit. Maybe it’s heavy on adverbs and adjectives, even bordering on “purple prose.” Or you could grab a dictionary and discover a verb or two that’s new to you or one you’ve never used. • Above all, have fun; enjoy the creative moments. For dVerse, I’m Victoria, thanking you for joining us this evening and happy to be your hostess tonight. I’ll make my way to your “table” sooner or later. Usually a bit later since I’m on the far end of the time zones! And special thanks to Jane for allowing me to share her copyrighted poem. Do stop by her blog if you haven’t “met” her. Good evening .. or so.. I sit here and wondering if I did it right… hmm at least there are verbs.. that’s for sure.. and Jane’s poem is beautiful..
haha… i think you did good..
I’m sure it’s perfect, Bjorn. Hi Victoria. I really like your article on the importance of using strong verbs & cutting back on adjectives and adverbs. I played around a bit with the verbs I chose for my poem. Actually thesaurus.com is very good for that! Smiles. Thanks for hosting today. Thanks, Mary and thanks for the tip. This was very interesting Victoria, very. Thank you. Claudia, thanks for opening the pub for me and pouring the first round! What a lovely challenge, Victoria; hadn’t really thought specifically about the verbs I used before; enjoyed the prompt; but have to rush off now to a doctor’s appt., then off to visit my brother at Heart Rehab; will visit others tonight. Hope all is well with you and the bro, Glenn. And thanks for the tweets, too. passive voice weakens everything, resumes, poetry, stories. That’s one of the reasons I like haiku, every word matters. You’ve shared one of the important things I remind my creative writing group of every so often. In his book On Writing Stephen King goes so far as to say that adverbs are evil. I tell my group that if they need to describe a verb with an adverb, most often it’s because they’ve used the wrong verb. Saying ‘He walked slowly,’ is boring; saying ‘he slouched’ or ‘he shuffled’ is both more interesting and more informative. If you write in 100 words or with other restrictions you also save words by doing that… great examples.. I love On Writing….another great one is Bird by Bird by Lamott…. I love Lamont’s too. Would add a similar one: Word-by-Word by Heather Sellers…full of exercises as well. Hi Tony, I just I had asked you a question a little further down about present tense, past tense, etc.I am still interested in the answer if you have time. Tony, I agree with your comment here. Thank you! 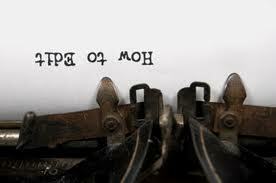 I am wondering: For your writing group, do you advise using primarily the present tense or the past tense? I sometimes find the use of other tenses (such as present or past continuous) too wordy. I generally prefer the present tense too, Brian. I agree it is more engaging. Tony – it’s a very interesting thought that you made me think over. Ha! Stephen King’s book haunts my writing (including this article)…though I don’t completely (!) agree with him on adverbs, he certainly (!) makes me think twice! Thanks, Tony. As many have mentioned–Jane is a splendid poet who makes every word count. When I read this I got the idea for this article. Don’t be surprised if I go to her again in the near future. Interesting article, Victoria! It made me ponder on my own use of language and the various kinds of words I use. Thank you for the challenging prompt! So glad to “see” you, Gabriella. I found this very interesting – have to try hard to get there, but as you have given a clue, rework on an old poem that you have never been completely satisfied with – that might the key 🙂 – but all the more interesting to read what others are writing on the theme. Smiles. I have a binder/file full of those kind of poems. Hope to try to redeem a few with verbs, too. and you used it well in yours…. I am sure they will all be redeemed and more! fun stuff v…and several ways to approach this…but you are right in that word choice is a big step in development and engagement of the reader…. let me get the kiddos on the bus and i will play catch up….smiles. Keep them safe…someone shot at a school bus today. What’s going on? I think the publicity is starting a wildfire. Ah, perfect Mad. So glad you indulged. Have that libation on us! Thanks Victoria for your kind words and insightful column! Hello Vick thank you for hosting, great challenge and I’ll try and muster up something in this heat! Enjoyed janes poem thank you and for your interesting write ~ happy writing everyone! Enjoy the heat, Jenny…it’s nice here, too, to the envy of many of our fellow poets. Thank you Victoria for the great prompt..I feel I overdid it with my poem perhaps to the extreme; I know you are right to not let them take over the poem as well. ha. a little extreme…but a fun one…hey you inspired me…. their pail brimming with water. Jack repelled but slipped and smashed. Jill shrieked and plunged right after. who caressed his dented pail. for snatching what they required. Overdoing it? Reminds me of practicing arpeggios on the piano for hours when you’re trying to learn to play. This is perfect, Wished I’d thought of that to add to the prompt (reworking a nursery rhyme or whatever. That response above was meant for Katy’s comment. My relationship with the Internet tends to be a bit testy. Wow! Your responses make me think I should play a bit more often. Thank you. enjoy visiting some other poets. Lisa, I confess to doing the same…sometimes it’s my only option. At last…I’m here and looking forward to reading some wonderful poetry and, for my own selfish reasons, compiling a list of “delicious” verbs for future reference. Hope you’re enjoying the friendship and poetry. Thank you for stopping by! Thank you for this opportunity to vent my feelings Victoria – venting is always healthy! Don’t know what I’d do without dVerse! I hear you, Anna. What would we do without poetry, especially dVerse? Perish the thought! I cannot imagine the horror! Or the void. Whew. Easier said than done! Thank you. If I don’t get to everyone’s link tonight, I will do my best to read and comment by Friday night. Enjoyed it, Lindy Lee–made a splash! I’m not sure if I used more adjectives than verbs. Seems like they went hand in hand with my attempt. Thanks for a fun prompt, Victoria! I’m a bit of an adjective-addict myself. Shutting down for the night–a demain! à demain Madame… sleep well.. Passive voice is certainly to be avoided. I’d like to apologize for passively double-linking Mr. Linky. So I will. Just glad you’re here, Gary. Thank you for the prompt, not sure if i got this right, but it was certainly challenging and entertaining. I’m sure if you had verbs in mine, it will be fine. Off to read in a few. This I find stimulating and interesting…have a look! I’ve found loads of verbally active poems in my archives, and spent so much time reading them that I’ve none left to write a new one! So glad you’re here today, Viv. Cool prompt and lots of fun—thanks! Thank you, James. Your writing is always compelling. And I’m just settling in! tried my hands Victoria! thank you for the informative write up – some views here to be taken and practiced! have posted mine a narrative but i think i could do better….far behind on the trail but will catch up soon! I’m lagging behind to–the thing is, to arrive. Good morning, all. Have to go out for an hour or two–I’ll be back. That’s what happens when you only have a “dumb phone.” No mobility. I will be back in the morning to visit and comment. I think I’m going with husband to see “Lone Survivor” movie. Have a nice movie date. Thank you for the advice about using more active verbs. I have similar issue that you have using too much passive voice instead of active voice. I am glad for this article because it gave some encouragement in improving my creative writing. Glad it’s helpful. Welcome, Denise.